The James Bond film series is the longest running series in film history and one of the most successful. Naturally, this (and not the success of the novels) has led to many video game adaptations over the years. While there were console and computer games in the first decade, it was the release of GoldenEye for the N64 that catapulted the James Bond brand name into the limelight as far as video games are concerned. What do you think is the best of the lot? Which best captures the feel of the James Bond series? Which is your favorite? What do you think makes a successful Bond game? Wow...I didn't know half of those games even existed. I only own 2 James Bond Games. and out of those, I think that The Duel is the Best. 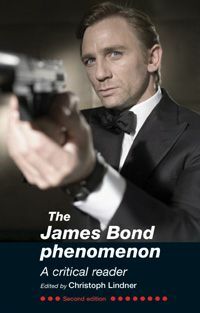 The James Bond film series is the longest running series in film history and one of the most successful. It's definitely one of the most successful, but nowhere near the longest. Sherlock Holmes, Batman, Godzilla, and Dracula have been around a lot longer. Anywho, I think From Russia With Love is the best game in the series. Goldeneye is one of the most overrated games in decades. It was fine for the time, but nearly unplayable by today's standards. It hasn't aged well, and I think a lot of glowing sentiment owes more to nostalgia than it does the game itself. The main thing you hear about Goldeneye is the multiplayer. The multiplayer in FRWL tops Goldeneye, as does the rest of the game. Besides, SEAN FREAKING CONNERY returns to the James Bond role for the first time 25 years, what more could you want? I had no idea there were that many Bond games. I think the N64 Goldeneye wins this by a landslide. Its THE game people think of when you think James Bond and Video Games. On the other hand, while Sherlock Holmes, Batman, Dracula, Tarzan, Superman, etc. have all had films made about them over a longer period, they are not all part of the same *series*. Batman, for instance, can be broken up into the serials, the '66 movie, the Burton/Schumaker films and then the Nolan films. Four *different* series, not one. So, James Bond is the longest film series *in continuous (and current) production*. I wrote chapter 19. It had to be cut down quite a bit, but the longer, original version will be available elsewhere at a future date. No I never played the N64 one!!! EDIT : I take that back. i did have one on the Com64. I think it was View to a Kill but man except for the voice in it that said "Damnit you failed Bond" That game sucked. Edited by moycon, Wed Feb 11, 2009 1:21 AM. Man..Rare is the best for making Goldeneye 007. A real masterpiece. It could easily make it into the top ten games that had a major impact on the industry. Too bad EA just cashes in on the license with mediocre offerings..
Oh and just for the record the gameboy James Bond 007 is a great game too. Edited by rpgfaker, Sat Feb 14, 2009 7:33 PM. I can't believe that the PB version (BTW versions) was even included in the list. The game stunk even in it's day. If you had a time machine, even before it's day. Goldeneye was good but Everything or Nothing on GC is better, IMO. I know most will go with Goldeneye for the N64 but i always like the 2600 version of James Bond it has that "Moon Patrol" thing going for it so it gets my vote. I'm sorry, but I have to go with GoldenEye 007. A lot of people love it for the multiplayer, but there's more to it than that. GoldenEye was more than just a first-person shooter. It introduced the concept of mission objectives, where one mistake could blow the whole mission. Not only was it more than just a first-person shooter, but it also made you feel like you were actually James Bond himself. Cool...I wouldn't mind reading that. Wikipedia states James Bond: The Duel (1993) as the first Bond game not to be based on a movie or book so what is The Stealth Affair (1990) based on? Although eclipsed by other games (Perfect Dark, Unreal Tournament, etc), Goldeneye is the best Bond game I have ever played. In Ian Fleming & James Bond: The Cultural Politics of 007 (2005), Andrew Lycett asks, "Where does Bond begin and end – in Fleming's mind, in the British spy novel tradition, in the many fan pages and websites devoted to his cult status? Does the cultural franchise of Bond rest on the novels or the films?" To Lycett's list, one must add video games. Beginning with the earliest adaptations for the home console market and moving through the rise of home computer gaming in the 1980s to modern console releases beginning in the 1990s including GoldenEye 007, James Bond 007: Everything or Nothing, and most recently From Russia with Love, over 20 video game titles feature Bond. Over their shared history, the Bond franchise and the video game industry have intersected in many ways, sometimes fruitfully and at other times unevenly. If we accept the premise that "while James Bond is very much a human being, 007 is a technological construction," what does 007 as a gaming character share with his cinematic and print brethren? Andrew Lycett. "Foreword". Ian Fleming & James Bond: The Cultural Politics of 007 (Bloomington: Indiana University Press, 2005), p. xiii. William McKinney. "James Bond and the Philosophy of Technology: It's More than Just the Gadgets of Q Branch". James Bond and Philosophy: Questions are Forever (Chicago: Open Court. 2006), p. 187. That goes for me as well. Although I have tried Goldeneye the whole 3D/first person perspective thing doesn't do well with me. n64 goldeneye man I played that a ton. Loved playing N64 Goldeneye with my friends and family back in the day.